Test your knowledge of picture book and picture book author trivia! Try answering the following five questions before you scroll down for the answers! What 1902 children's book is one of the most famous books ever written, with more than 40 million copies sold in over 35 languages? Who is the best selling, most translated children’s book author whose name, when properly pronounced (as it would be in its original language), rhymes with “voice”? What famous children’s book character is a book-reading, library-loving, socially aware, sensitive aardvark? A museum was built in Japan to pay tribute to a famous children’s book and its author, creating a storybook land with scenes from both the book and the author’s life. Visitors can pose with a two-dimensional figure of the book’s main character. What book does this museum honor? Answers to Question #2: (1) None of these famous children’s book authors have had children. 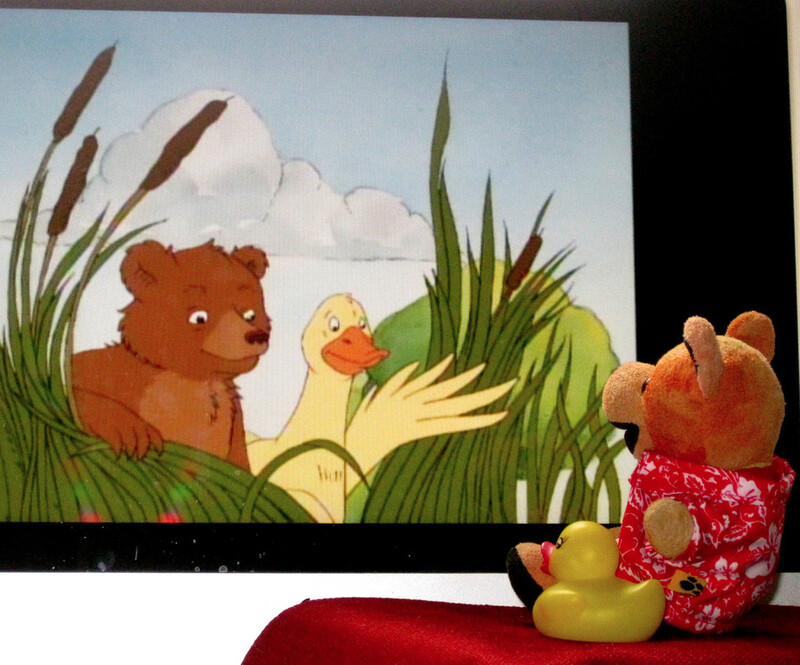 (2) They all had their works made into children's television cartoons. Our original answer was (1) None of these famous children’s book authors have had children. Special thanks to Melissa Land, who won that round with the second answer. (2) They all had their works made into children's television cartoons... and taught us a new, fun fact, too! :) Also, not only did we find out that Maurice Sendak had his work made into cartoons, but he had a series called Little Bear! Have you been rhyming it with goose? Not to worry! This author never would denounce, not even by an ounce, his loving fans! Some say, though, he just gave in to the more commonly used, Americanized pronunciation. On the other hand, the sound-sensitive Seuss may have chosen the pronunciation we use as consciously as he chose and crafted the sounds and rhythms in his children’s books. In earlier years, when he wrote for his college’s humor magazine, he may have liked the traditional pronunciation. Here’s a little poem by his friend, Alexander Liang: "You’re wrong as the deuce And you shouldn’t rejoiceIf you’re calling him Seuss.He pronounces it Soice." If you recognize Arthur Timothy Read (pictured on the right with Little Bear), but didn’t realize he’s an aardvark, you’re not alone. He has small, rounded ears, no big tail, and the cutest little nose! But the first Arthur book, Arthur’s Nose (by Marc Brown) was about an aardvark who was self conscious about his large nose. (See Arthur's first book cover (below). Arthur's changed quite a bit! The starting point for the Museum of The Little Prince in Hakone is, of course, the B612 asteroid. :) The museum takes visitors through a world created from the story (walk through Businessman’s Road, the Lamplighter’s Square, and more), and also through the life story of the author. Antoine de Saint-Exupery was born in 1900 in Lyon France, and the tour begins with streets reminiscent of France in the early 1900’s, takes visitor through rooms in which he wrote in Paris and in New York, stories of his days as an aviator, and even a little theater decorated as a desert. Bear Hugs from Little Bear to everyone who plays along, reads along and shares! We had a great time learning new picture book trivia and we hope you did, too! Linda Eve Diamond is an author whose poems and stories have been published by several literary journals. Her books include The Beauty of Listening (a listening-themed poetry collection) and E-Z Spelling (Barron's Educational Series, 2011). Visit Linda Eve's Website at www.LindaEveDiamond.com.